Ace Hoffman's Nuclear Failures Reports: What is spent nuclear fuel neutralization and why is it the best solution? What is spent nuclear fuel neutralization and why is it the best solution? What is spent nuclear fuel neutralization, and why is it the BEST solution for nuclear waste? I'm going to answer the second question first, because it's fairly easy to describe why spent nuclear fuel neutralization sounds like a good idea, but much more difficult to explain what it actually is. So first I'll go over why neutralization is the best solution for nuclear waste, then a bit of "elementary" nuclear physics, then a word or two about the inventor of the process, and then the explanation of how neutralization works. (1) Why is neutralization the best solution for spent nuclear fuel? (2) What (if any) are other possible options? (3) What is a "fissile" atom? (4) What is an "isotope"? (5) What is "radioactive decay"? (6) What does it mean to "split" ("cleave" or "fission") an atom? (7) When will an atom decay on its own? (8) What is a "criticality" event? (9) Why is radiation harmful to living organisms? (10) What is "spent nuclear fuel" (also known as "used fuel")? (11) Why is spent fuel so dangerous? (12) Why is it so difficult to figure out what to do with the spent fuel? (13) Who is Dr. Peter Moshchansky Livingston? (14) How does laser-based neutralization work? (16) Who wrote this document? Spent nuclear fuel is extremely hazardous material. It contains highly toxic heavy metals, it is radioactive, corrosive, flammable, and, under the right conditions it is explosive. Untreated spent nuclear fuel must be isolated from air, water, and humanity for hundreds of thousands of years. Currently, spent nuclear fuel is stored in over 2,000 thin-walled dry casks around the country, at dozens of locations, and there is enough additional spent nuclear fuel in nuclear reactor cooling ponds to fill over 10,000 dry casks just in the United States. Neutralization is a process that reduces the long-term radioactivity of the spent fuel. Neutralization splits the Uranium-235 and Plutonium-239, as well as any other fissile (meaning "able to be split") atoms in the spent fuel, using laser-produced, collimated photons in the 10 to 14 MeV (Million electron Volts) range. The neutralization process (technically known as the "photofission process") produces fission products from the fissile isotopes. While the creation of additional fission products is certainly unfortunate, the many advantages of neutralization strongly outweigh this major (but unavoidable) disadvantage. First, neutralization would eliminate (not just reduce) the possibility of criticality events (see section 8, below), which is by far the biggest danger with spent fuel. A "criticality event" (a.k.a. "chain reaction") occurs when neutrons ejected from the nuclei of fissioning atoms enter the nuclei of other fissile atoms, causing those atoms to also split apart and give off more neutrons, in a cycle that increases exponentially over time. During a criticality event in spent nuclear fuel the chain reaction would not occur at anywhere near the speed of the chain reaction in a nuclear bomb, but it can occur fast enough and release enough heat to cause a massive thermal (i.e., non-nuclear) explosion, which would spread the nuclear spent fuel over a wide area. Estimates range from over 40 square miles (Nuclear Regulatory Commission) to thousands of square miles that would be permanently or nearly permanently contaminated and have to be abandoned. Large portions of the fuel would also be vaporized, to be carried globally by the wind. Statistically-significant health effects from a used-fuel accident could occur as much as 500 miles downwind (F. von Hippel, Princeton). Virtually all experts on nuclear waste agree that avoiding a criticality event is the #1 task of any waste management system (example: T. Palmisano, SoCalEd). Airplane strikes, earthquakes, tsunamis, fires and terrorist attacks, as well as degradation of the internal components of the fuel assemblies that keep the fissile material separated, can all cause a criticality event by rearranging the configuration of the spent fuel inside a dry cask. The fuel pellets are normally carefully separated from each other both to help dissipate heat and to avoid a criticality event. Second, neutralization would eliminate the risk of proliferation, which requires reprocessing the spent nuclear fuel to separate out the Uranium and Plutonium atoms in the waste, and then enriching the fissile atoms' percentage to make an atomic bomb (a mixture with at least 90% fissile atoms is generally required). Third, neutralization would eliminate the possibility of reusing the fuel in meltdown-prone future reactors (ALL reactors are prone to -- or at least capable of -- suffering a meltdown). If an accident in the left-over waste stream were to occur after neutralization (far less likely than before neutralization, mainly because the possibility of criticality events would have been eliminated), the time-span of hazardous effects of the accident on the environment would be reduced to about 20 human generations -- from at least 20,000 human generations. And on top of all that: Neutralization can even be done AT A PROFIT -- because of the heat energy produced in the process (small compared to a nuclear reactor, and minuscule compared to an atomic bomb, but enough to make the process energy-positive). Another potential source of profit would be from the production of a variety of isotopes that already have industrial or medical uses. 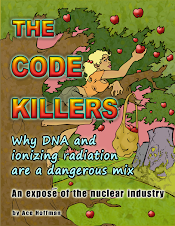 The current dangerous approach favored by some European nations is to reprocess the spent fuel rods by dissolving them in acids and then chemically separating out the highly radioactive daughter products such as Iodine 131, Cesium 144 and Cesium 137, then remove the Cadmium, Xenon (if any is left) and other slow neutron absorbers. When that is complete, the remainder is mixed with fresh Uranium Oxide and reformed into new fuel rods. This reconstituted mixture is called Mixed Oxide ("MOX") fuel and is compounded such that it cannot be turned into bomb material. However, after one or two fuel cycles the chemical methods no longer suffice to produce a re-usable fuel material. At that point, long term storage is needed. Another dangerous but technically possible method of reducing the actinides (elements from Actinium (with 89 protons) to Lawrencium (with 103 protons)) in spent fuel is to place the fuel rods in a specially-constructed "breeder" reactor that can still fission the actinides despite the accumulated neutron absorbers in the fuel (this is made possible by using "fast" neutrons). However, this process "breeds" Plutonium (hence the name of the process) from the Uranium, resulting in an increased proliferation risk. The definition of a "fissile" atom is an atom whose nucleus can be split (fissioned) by a high-energy subatomic impact. This results in two (sometimes more) large fragments and a variety of smaller sub-atomic particles which are expelled at great speed -- nearly the speed of light. For example, "Alpha" particles are expelled at about 98% the speed of light, and "Beta" particles are expelled at about 99.7% the speed of light. Excess energy in the form of heat (fast- moving particles) is always a byproduct of the fission process. In American reactors (both Pressurized Water Reactors (PWRs) and Boiling Water Reactors (BWRs, which are also pressurized, but not as much)) the splitting of atoms is accomplished with "slow" neutrons. When fissile isotopes such as Uranium-235 are split (fissioned), usually a few neutrons are expelled. These neutrons exit the nucleus of the atom at an extremely high speed. In American reactor designs, for a sufficient number of those neutrons to collide with the nuclei of other fissile atoms in the fuel and split those atoms in a chain reaction, the neutrons need to be slowed down. In PWRs and BWRs the neutrons are slowed down with "light" water (described below). Neutrons, being neutral in their electrical charge, are able to "get through" the electron cloud that surrounds the nucleus of an atom. Charged particles such as Beta particles (charge -1) and Alpha particles (charge +2) are deflected away from the nucleus by the electron clouds. In order to achieve a sustained "chain reaction" in a nuclear reactor, it is necessary to bundle thousands of pounds of uranium and/or plutonium together in a relatively small space. (Side comment #2): There are other types of reactors. Canadian "CANDU" reactors, for example, use deuterium-enriched "heavy" water instead of "light" water to slow down the neutrons. Deuterium is a stable isotope of hydrogen with one neutron in addition to the single proton in its core. It's called "heavy" water because it is about 11% more dense than "light" water. Only 0.0156% of "light" water hydrogen atoms are deuterium, but "heavy" water has about 99.75% deuterium hydrogen atoms. What the nuclear industry calls "light" water is what runs out of your tap. Different isotopes of an element all have the same number of protons in their nucleus and the same number of electrons surrounding their nucleus, but different numbers of neutrons in their nucleus. Since the number of electrons is the same, different isotopes of an element react -- chemically -- the same. Living organisms cannot distinguish between different isotopes of an element. Fissile atoms (and some non-fissile atoms) are "radioactive" which means they will eventually decay on their own, usually by ejecting, at very high fractions of the speed of light, either an Alpha particle or a Beta particle. A Gamma Ray is usually also emitted in the process. Alpha particles are extremely dangerous because they are so massive (on an atomic scale) and because they have a strong positive electrical charge from their two protons. They cannot penetrate solid matter very far: For example a single sheet of newspaper is an impenetrable barrier to an Alpha particle. But if an Alpha particle is ejected from an atom that is already inside a living organism, it can do a lot of damage. Alpha particles become Helium atoms after they slow down and "steal" two electrons from almost any atom nearby. Beta particles become electrons when they slow down. Beta particles can penetrate several inches of human flesh. Both Alpha particles and Beta particles are "charged" particles, because they have an unbalanced number of protons versus electrons when they are ejected from the nucleus of an atom. Alpha particles have two protons (along with two neutrons) and no electrons, Beta particles have no protons (and no neutrons) and one electron. The electrical imbalances are the main reason these particles are hazardous to human health: After being ejected, as they pass close to other atoms and molecules they produce "free radicals" in the body by stealing electrons from other atoms or by knocking electrons out of their orbits. Gamma Rays are high-energy electromagnetic emissions called photons (the same as what a light-bulb emits, but at much higher energy levels). Gamma rays are often produced when an atom fissions or decays. Gamma rays travel at the speed of light, have no mass and no charge, and can penetrate completely through the human body. When they collide with matter they can displace electrons and alter atomic arrangements in molecules. Neutrons are also released by spent nuclear fuel. Although they are neutrally charged, they are relatively heavy and are very damaging. Free neutrons (not bound up with one or more protons in the nucleus of an atom) decay by emitting a Beta particle (and sometimes a Gamma Ray) and become a Hydrogen nucleus (one proton). The half-life of a free neutron is just over 10 minutes. Sometimes the emitted electron (Beta particle) remains with the newly-created proton, but very rarely. Splitting an atom is not the same as a radioactive decay: Instead, the usual process (in a nuclear reactor or an atomic bomb) is to bombard the atom with neutrons, and eventually one is "captured" in the nucleus of the fissile atom. This causes the atom to cleave, or split into two approximately equal (but rarely exactly equal) portions, and usually several neutrons are also released. The large fragments that are left when atoms are split are called "fission products," which are almost always also radioactive. One can think of the reason fission products are radioactive this way: They have too many neutrons to be stable, because as you go up the periodic table from hydrogen (1 proton and (in most cases) no neutrons) to plutonium (94 protons and 145 neutrons (for Pu-239)) and beyond, the proportion of neutrons to protons in the nucleus of stable isotopes increases. So when you cleave an atom near the top end of the periodic table, the resultant fractions -- or "fission products" -- have far too many neutrons to be stable. Most fission products have much shorter half-lives than Uranium and Plutonium: 30 years or less for nearly all of the fission products. There are seven known fission product isotopes that have much longer half-lives, but fortunately these are created only in relatively minute quantities in nuclear reactors, by natural decay, and by the neutralization process. (Side comment #1): Approximately 3,000 different isotopes are known for all the elements from atomic number 1 (Hydrogen) through atomic number 118 (Oganesson). Most of these isotopes are radioactive. All elements above lead (atomic number 82) have no stable isotopes, and Technetium (atomic number 43) and Promethium (atomic number 61) also do not have any stable isotopes. (Side comment #2): The seven long-lived fission products in spent nuclear fuel are: Technetium-99 (211 thousand years) , Tin-126 (230 thousand years), Selenium-79 (327 thousand years), Zirconium-93 (1.5 million years), Cesium-135 (2.3 million years), Palladium-107 (6.5 million years) and Iodine-129 (15.7 million years). (Side comment #3): The process that determines the moment of a nuclear decay is how soon a nucleus in an excited state can emit a Alpha or Beta particle, and/or a Gamma Ray, to drop down in energy level to the ground state (or to an intermittent, less excited, state). The difference in energy levels "before" and "after" a nuclear decay is known as the emission energy. An exact prediction of the time is not possible for several reasons, including the quantum-mechanical Heisenberg uncertainty principle, which states (among other things) that one cannot measure both the position and the velocity of a particle accurately at the same time (you would need to know both to know the exact energy level of the excited state). There is a reciprocal relation between the spread in the before- and after-emission energies (known as the "line width") and the decay time. The broader the line width, the faster the decay rate. Hence long lived isotopes emit particles with very narrow energy line widths. A criticality event occurs not from proximity of fissile atoms per se, but from neutrons emitted by fissioning atoms being absorbed by the nuclei of other atoms, causing those atoms to split. The word "criticality" means that on average there is more than one neutron that is released per fission event caused by a previous fission event. Neutrons that have slowed down have a much greater chance of being absorbed by another atom's nuclei. Thus, materials (such as water) that moderate (slow down) the neutron can result in many more fissions. This is one reason why putting water on a spent fuel fire -- if you could get close enough to it -- might be a terrible mistake. Atoms that absorb neutrons, including heavy atoms that don't fission, will inhibit criticality. Radioactive decay products (Alpha particles, Beta particles, Gamma Rays, x-rays and neutrons) can all damage DNA, although the precise mechanisms vary. In general, all forms of radiation knock electrons out of their orbits, pushing or pulling them away from atoms and molecules, causing those atoms and molecules to become "ionized," and sometimes changing the configuration of the atoms in a molecule (perhaps turning a protein into a carcinogen by rearranging the precise positions of the atoms). Neutrons, if they are slow enough (called "thermal" neutrons), can enter the nucleus of many elements, causing that atom to become radioactive in a process known as neutron activation. At some point in the future the atom will release a decay product of its own. Neutrons are very damaging to living tissue. Neutron activation can also contribute to the eventual breakdown of materials that are used to contain spent nuclear fuel, such as stainless steel, which is an alloy of several different elements. When a Gamma Ray encounters matter, it is most likely to collide with an electron (Gamma Rays rarely collide with a nucleus of an atom, except for very powerful Gamma Rays). When a Gamma Ray collides with an electron,the electron gets ejected from its orbit at tremendous speed, often having absorbed all of the energy of the Gamma Ray. The ejected electron (called a "Compton" electron) then collides with other electrons, knocking them out of their orbits, and leaving a path (or "cloud") of destruction (dead and damaged cells) in its wake. These dead cells can cause inflammation, and if they are among cells that are not replaced in the body (such as heart muscle cells and brain cells), the damage will be permanent. Also, if the damage is to the DNA within the cell, the cell might reproduce (and/or possibly also die) at a different rate from normal, which can be a cause of cancer. In addition to being unable to distinguish radioactive isotopes from non-radioactive isotopes of the same element, the human body (and other living things) can mistake many fission products for useful atoms such as mistaking radioactive Strontium for stable Calcium, or radioactive Cesium for stable Potassium. New, unused nuclear fuel pellets for American styles of reactors originally contain from about 3% to about 5% Uranium-235 oxide (U-O2), and the rest (about 95% to 97%) is Uranium-238 oxide. The fuel pellets (about the size of a pinky bone) are contained in long fuel rods (12 to 15 feet in length), which are usually made of Zirconium. The Zirconium-clad fuel rods are bundled into assemblies of about 200 to 250 fuel rods each. There are as many as 200 fuel rod bundle assemblies, and millions of fuel pellets in a nuclear reactor at any one time. The oldest 1/3 or 1/2 of the assemblies are replaced every 18 months (1/3) or two years (1/2), depending on original U-235 enrichment percentage and power output ("burn-up") during the previous period. Once the fuel assemblies are removed from the reactor, the fuel is considered "spent," but it has become about ten million times MORE radioactive -- and more toxic -- than "fresh" (unused) nuclear fuel. Spent fuel must be cooled in a pool under about forty feet of water for at least five years after being removed from the reactor. Spent nuclear fuel is extremely toxic. Whereas bare, unused nuclear fuel pellets (fuel that has never been placed inside a reactor) can be handled with gloves (to protect from Alpha particles), fuel pellets that have been in a reactor for four to six years are so radioactive that, it's said, you could not pass next to one pellet on a motorcycle at 60 miles per hour without receiving a fatal dose of radiation. The main health risks from spent fuel comes from the fission products with relatively short half-lives, and from the Plutonium, with a half-life of about two dozen millennia. Most of the spent fuel is Uranium-238, which is not "fissile" and cannot be used to create a nuclear explosion, but it is still a hazardous substance, both as a heavy metal and because of its radiological properties. Spent nuclear fuel is a proliferation risk because about 2% of used reactor fuel is left-over, unfissiled Uranium-235 and artificially-produced Plutonium-239 (created when a Uranium-238 nucleus absorbs a neutron and then ejects a beta particle). Both U-235 and Pu-239 can be extracted and used to make nuclear bombs. The Plutonium can be separated by a relatively simple chemical process; the fissile Uranium isotope would need to be chemically separated along with the rest of the Uranium and then enriched using a long series of centrifuges or some other process. An additional problem for spent fuel management is that radiation destroys containers for the spent fuel at the atomic level: It can rearrange the atoms in protective alloys (such as so-called "stainless" steel) that surround the fuel, leading to fissures and cracks, which can allow radioactive gases to escape. Radioactive gases that are produced by the nuclear reactions can crack fuel rods and the ceramic fuel pellets themselves. Over the enormous length of time the spent nuclear fuel is hazardous, any containment designed to keep the fuel separated from itself can deteriorate, allowing the fuel to rearrange into a configuration that can cause a criticality event. A criticality event in spent nuclear fuel can release enough energy in a short enough amount of time to cause a massive explosion -- NOT anywhere near the speed and size of an atomic bomb, but nevertheless powerful enough to vaporize the spent fuel, releasing trillions of nanoparticles into the atmosphere, which can travel for thousands of miles, and contaminate the surrounding land around the site. Another hazard of spent fuel comes from the Zirconium ("Zirc") cladding. Zirconium is pyrophoric and must be kept away from air, and it can decompose water into an explosive mixture of Hydrogen and Oxygen. America currently has no permanent storage method for spent nuclear fuel, despite having produce nearly 100,000 tons of it over the past 70 years (including commercial and military production). Temporary storage in thin-walled "dry casks" and massive "spent fuel pools" is both risky and expensive. Other countries have either no permanent solution, or in one or two cases, very expensive schemes which may not -- or, more probably, won't -- work. Dr. Livingston is an inventor with more than 40 patents to his name, mostly for chemical processes and related equipment. Dr. Livingston is also an atomic bomb test military veteran. Dr. Livingston not only witnessed a number of bomb tests in Nevada, he took an active part in carefully measuring their effects, using instruments (such as oscilloscopes) placed in tunnels at various distances from the underground blasts, which were protected with heavy doors designed to close in fractions of a second -- after the initial explosion but before the pressure wave struck (the doors didn't always work!). While working at the Nevada Test Site (as it was then called), he also calculated and measured the effects of the Electromagnetic Pulse (EMP) from above-ground tests, and many other aspects of atomic explosions. http://goo.gl/7ro0tZ (goes to the USPTO). The patent number is: US 9,613,726 B2, and is also available online. Atomic bombs and nuclear power plants use neutrons, but you don't need to use neutrons to split the fissile isotopes. You can use other high-energy particles or rays. Very high-energy collimated photons produced by lasers can be used. This is the basis of Dr. Livingston's process. For photofission to occur, the photons must impact the fissile atoms, which are inside the spent fuel rods. Although the cross section of the nuclei for the actinide series of elements is small, for stopping Gamma Rays in the 10 to 14 MeV range it is not insignificant (~0.5 barn (a "barn" is the standard measure of the diameter of an atomic nucleus)). The first step is to obtain the collimated photons. Although this aspect has not been finalized, prior devices have shown how it could be done. Swiss researchers, for example, have demonstrated a similar concept which produces x-rays in the KeV range. When electrons from a "free electron laser" (F.E.L.) are passed through a special type of crystal, very high energy Gamma Rays are emitted. But where would the high-energy electrons come from? Dr. Livingston suggests that they could come from the spent fuel itself -- for example, from the Cobalt-60, which emits Gamma Rays of approximately 1.3 MeV. When these high-energy Gamma Rays impact electrons, sometimes all of the energy is transmitted to the electron. The next step is to organize these electrons. Dr. Livingston again: "To create a dense electron cloud I would design a magnetron type cavity in which the magnetron field strength is sufficient to keep the electrons moving in curved or even circular orbits." After that, a "magnetic prism" would select out the 1.3 MeV electrons, followed by "focusing lenses" to guide free electrons into a collimated path. The electron beam then enters an accelerator using "pulsed laser beams" with peak energy levels in the 10s of MeVs. What emerges are "spent" electrons (which, being charged particles, are easily "bent" out of the way) and collimated photons of the necessary energy level. Dr. Livingston again: "With this source of Gamma Rays, a spent fuel rod will absorb most of the Gamma Rays, of which some will induce photofission. Of course neutron poisons have no influence on the process. "It is [a] matter of a simple calculation to show that the recovered radiant energy, converted to heat, would generate enough electrical power to run the gadget. "At the end of the process, a 2% concentration of fissile material in the spent rod could be reduced to nearly zero, thus reducing the required dry storage time from 500,000 years to perhaps several hundred." Nothing in this process is unattainable. Although as yet no collimated (or nearly collimated) beam of Gamma Rays has been devised, there are plans for a special type of free electron laser using pulsed laser fields as accelerators that might work. To bring the process to "industrial realization" will still require substantial work -- and money -- but the funding needed will be small compared to the ultimate costs of spent fuel storage or worse: The cost of a fire and/or criticality event at a spent fuel storage site. The advantages of using neutralization are overwhelming for a nation -- and a planet -- that is now swamped in nearly a hundred thousand tons of spent nuclear fuel (in America alone, with nearly five times that amount globally), with no safe way to store it, no safe place to put it, and no safe way to get it there even if there was a place to store it. Neutralization would be accomplished at the site where the fuel was generated, making transportation vastly safer and easier, because there would no longer be any danger of a criticality event. Ace Hoffman is a computer programmer, and has been researching nuclear issues as a private citizen for approximately 45 years. Hoffman has interviewed scores of experts, including scientists who worked on the Manhattan project, molecular biologists, epidemiologists, nuclear engineers and nuclear physicists. Opinions expressed here are his own, as are any mistakes.